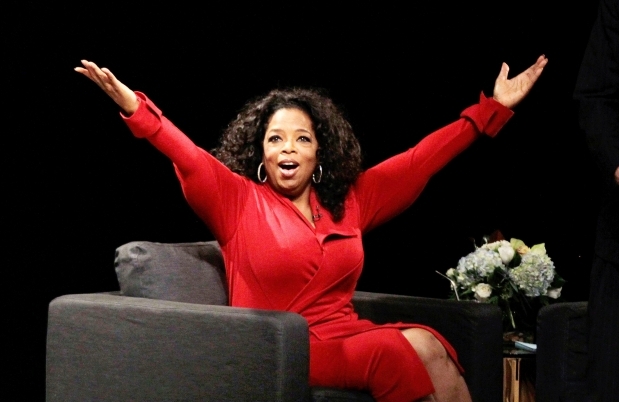 Oprah is going to be showing Western Canada some massive love in the new year. Tickets already completely sold out for the Calgary appearance at the Saddledome for January 22, 2013 and now it has been announced that Oprah is going to go to Edmonton the day before. There are two things here that piss me off about this. 1) Edmonton gets her first - not acceptable (I am green with envy). 2) Their tickets are HALF the price of the ones in Calgary. The cheapest ticket in Calgary was around $120 and the most expensive was almost $500. In Edmonton tickets range from $89-$299. Now I realize that people like to jack up prices in Calgary because supposedly every single person in this damn city is a millionaire (news to me), but that's unreal. I was in a good mood until 5 minutes ago. This just ruined my 12/12/12. Tickets go on sale Saturday Dec 15 at 8 am.